How did Mark Wahlberg get ripped up to play boxer “Irish” Micky Ward in The Fighter? What does Jason Statham do to stay jacked up and stay in top physical condition? How did Chris Hemsworth pack on 20 pounds of muscle to get a godlike body to play Marvel’s blockbuster,Thor? What did Jason Momoa do to pack on 20 pounds of muscle to replace Arnold Schwartzenegger in the Conan the Barbarian remake? How did tiny Taylor Lautner pack on 30 pounds of muscle and carve out a six-pack for Twilight? What is Manu Bennett’s secret to a convincing warrior physique for Spartacus? How did Chris Evans build the most coveted chest in Hollywood to play the lead role in Captain America: The First Avenger? How did Tom Hardy build a brick-house physique for Warrior, Bronson and the upcomingDark Knight Rises? 1. Actors are highly-motivated – a multi million dollar movie deal works wonders. Take home point: Put something at stake. 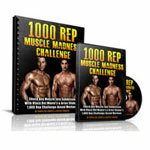 Join a transformation contest. Make a bet. Donate a certain amount of money to an organization you dislike the most if you don’t achieve your goal. Get some blood in the game. Take home point: Set a deadline and announce it to people you don’t want to disappoint. 3. Actors can recover fasterthan individuals with commanding jobs or those striving for a degree. Actors are paid to know their lines and look the part so their day can revolve around training and eating. They can also take more frequent naps, a key tobody transformation. What a life! Take home lesson: Plan your more aggressive training cycles during periods of the year when your work is less stressful. 4. Many actors who transform from sissy boys to superheroes are rather thin, carry very little muscle to start with and are blessed with faster-than-average metabolisms. This means they have a greater potential for change compared to an individual who has four years of intense training. If they were to start the same program at the same time, a beginner weightlifter will always gain more muscle than an advanced weightlifter. Beginners almost always gain twice as much muscle as experienced lifters in the same time period. This happens because their bodies tend to adapt and respond efficiently to a brand new stimulus since they are starting further from their genetic ceiling. The more your muscles are forced to adapt, the more they grow. Think Taylor Lautner. Take home lesson: Don’t compare your results to others. Let your training age keep your progress in perspective. 5. 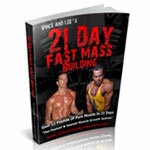 Actors typically have a generous 12 to 16 weeks to build muscle and burn fat. Over a course of 16 weeks it’s not uncommon to burn at least 30 or more pounds of blubber to create the illusion they’ve gained 20 or more pounds of muscle if everything isdone effectively. Take home lesson: Give yourself enough time to transform! Drop the “get rich quick” fitness mentality. 6. Most of our superheroes are not wearing a Speedo so they can prioritize their training to the muscle groups that give the illusion of size and power. For example, the upper clavicular area such as the upper chest, traps and shoulders gives the appearance of size and power. Other body parts that impress strength and confidence are biceps, upper back and ripped abs. So throughout our contest prep, these areas should be prioritized. Since the body has a limited capacity to adapt to stress, our actor’s recovery resources can be dedicated to these body parts of priority so that he will look more muscular in those desired areas. Although this is not an ideal long term plan, volume could be reduced in the lower body to set up the potential for more upper body mass. Why is it so important to focus on the illusion muscles? Consider a fitness model show. Do you ever wonder why professional fitness models look so big on stage (or on covers) but when they stand beside you they resemble a rather average looking individual? It’s because most male fitness models have 31-32 inch waists (and weigh between 170-190 pounds) that create the illusion of broad shoulders. When competing at the 2011 WBFF World Championships I couldn’t compete with the top competitors because I have a 34 inch waist, making it harder for my shoulders to jump at you. In short, if I was casting for the next Hollywood action hero, I would cast an individual with a tiny waist. Take home lesson: Dedicate periods of the year to your slow-to-grow body parts to improve your body’s symmetry and proportion. 7. Our superheroes are lean enough. I say enough because none of them are boasting body fat percentages (i.e. 4-5 percent) to grace a stage. That’s not necessary for our movie star’s role. Going much lower than 10 percent can lead to muscle loss, drop in performance and a gauntlook. My definition of lean is 10 percent body fat. At six to nine percent you’re ripped. 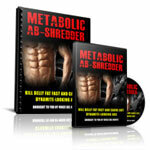 Atfive percent or less you’re shredded. So why 10 percent and not 13 percent?Enter The Lean Threshold, which applies to men and women but we’ll use a man for this example. The Lean Threshold suggests that at certain body fat levels a man will look the same. This means that if a man is 13-18 percent body fat then you will not be able to distinguish the difference. Ten percent body fat for a man is very lean. Eighteen percent or more of fat for a man is fat. If a man is under 10 percent fat or over 18 percent fat then you’ll clearly be able to tell if he’s “lean” or “fat.” Anything in between is very vague and it is very hard to notice the differences. So what does this mean for you? 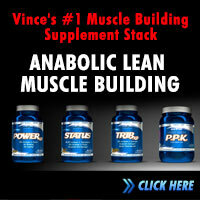 If you truly want your physique to stand out, you need to get out of the “vague” zone and dial in 10 percent body fat. The equivalent of 10 percent body fat for a male is about 15 percent fat for a female. Take home lesson: Give yourself permission to be light. If your goal is to be 200 pounds but you look better at 190 pounds, who cares? 8. The Law of Specificity! This law states that the specific nature of a training load produces its own specific response adaptations. The training load must be specific to both the individual and to the demands of their chosen event. In short, this concept basically enforces this: “You get what you train for.” Another way to say this is: If you want to become a better boxer, box. If you want to become a better cyclist, cycle. If you want to look more like a power lifter, train like a power lifter. If you study Mark Wahlberg’s workout in prep for The Fighter you’ll see that his coach, Bo Cleary has him doing three-minute rounds of shadow boxing, punching the speedball, pad work, rope skipping and speed bag. Emulate Taylor Launter’s six-pack ab workout that personal trainer Jordan Yuam designed and you’ll be doing a lot of direct ab work like a freaky looking fitness model. Looking to become another gladiator in Spartacus? Get ready to spend four hours every day training like a gladiator: weapon moves, combat skills, circuit training, sprints and team games like tug-of-war. It’s neat to see how this group training reinforces a pack mentality, which is necessary to survive in the brutal Coliseum! The gladiators don’t train just for size and power but for agility, speed and strength and a mindset to win. In short, if you train like a gladiator, you’re going to look like a gladiator. Take home lesson: Is your workout designed to help you in the field you’re in or achieve the look you’re after? The biggest lesson we can learn is that actors know their end outcome whether it be a gladiator, boxer, superhero or tough guy. They have a crystal clear vision of how they must look, feel and perform, and their training is dedicated to that end outcome. They avoid goal high-jacking and program hopping and are able to dedicate themselves to the goal at hand which reminds us of the popular quote, “The best program is the one that you follow.”Now it’s your turn. Comments and questions are welcomed below. What was your big take home lesson? I especially like point number one you mentioned. A similar motivational method I know, which I heard from Will Smith on YouTube is to want to succeed as much as you want to breathe and live. I used that for fitness and other aspect of life, and I found that I always succeed whenever I use this principle. Amazing. and now i am returning to normal. can you tell me weather it has done something serious to me? Interesting post. Your conclusions make a lot of sense. To achieve what you want you need aggressive focused determination, together with specific training targeted to enable you to reach your own particular goals. It’s no use having a great training program if you do it halfheartedly. Motivation is key to performance, and this triggers improvement. Vince, in line with actors “having ample time” and energy to focus their efforts, could you offer any helpful tips or advice that would be useful to me as a college student with a very full and hectic schedule trying to maintain training consistency and focus on my goals – setting tactics, motivation, etc. I am not making any comment about any specific actor. I will say, though, that many of them have access to some “supplements” that others do not. That does not compensate for poor diet and exercise but adding 20-30 lbs of muscle while dropping bodyfat over a 6-8 week time period usually does not happen with just diet and exercise. I am sure there are some who have done it but that is the very rare exception and not the norm, as it appears to be in Hollywood. It’s absolutely normal to speculate that “extra-curricular” supplements were involved BUT many of the physiques on the big screen ARE very attainable and should appear out of reach for the majority of people. Good article with well interpreted points. There were a couple missing though. Most actors have the money to pay someone to work them out & cook for them for their specific body type & needs. That helps alot! I live in a small town and I feel smarter than any of the cpt’s that I have spoken with (not a reassuring thing). Which I suppose keeps you in business. The information about the dangers of cutting too much fat and losing muscle and the 10% vs the way 5% looks too unnatural is what every blimbophobe needs to read. It is about balance and what looks best. I read that you have to put muscle mass in your legs to make the hormones right to maximize chest, shoulders, and arms, what shows, and enough dimpling in the abdomen to look impressive, but not like an anatomy text. Great article as always Vince! I think many people are captivated with the body transformations that can take place with actors. I personally have been blown away many times with various actors and their ability to pack on mass. Some of who I thought could never put on any muscle at all. I remember seeing Edward Norton in American History X and thinking “holy sh#t”, how the hell did Skinny Mr Norton get so ripped. Back then (over a decade ago) I was always slapping down the genetic card and using this as the reason why I was a skinny weed. Seeing Ed Norton’s transformation was hard slap across the face, which woke me from the “trance” I was in. I definitely agree with actors having an advantage (which everybody can also have if they choose to) due to strict deadlines and being highly motivated. Having these two “elements” in place is absolutely essential to carving an amazing body. All the other points are spot on and enlightening. Keep bringing the goods Vince! 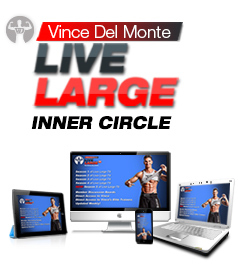 Vince – Very Good article. Agree with all points. One other item is that to keep on having shape to be proud of you have to change – All I have read of the actors’ training is that their trainers change their routines. This is good stuff Vince. I think you are right in saying that these actors work very hard for their bodies and have ample time to do so. However, I dont think its unreasonable to also assume that many, if not most of them use steroids as well. As we all know by now, steroids arent necessarily bad, and with the money these guys make, they could easily have 24 hour medical support to oversee their steroid cycles. This would explain the sometimes “unreasonable” rapid growth in muscle these guys have. It would also explain how fast the gains are lost after the movie is over. So combine a seroid cycle, some intense training, some lighting and strategic camera angles, and you have your self a “superhero” body in no time. and some clen to tighten up…. Good stuff, Vince. Clear, concise, straight to the point! Tom Hardy must have a pretty high metabolism as well. His stills for Bane, compared with those for Shinzon in Star Trek a few years ago, are amazing. On the other hand, he has had Black Hawk Down, Bronson, and Warrior before the Batman film. If he can do it, so can I! The fire rises! 1.- I cannot do all the excercises stated in one session since they are too heavy for me. I.e., I split shoulders and triceps in two separate sessions. 2.- Sometimes I cannot do 4 sets of all exercises with the last two drop-sets. To solve this I am doind 3 sets with a final drop set, all well-done and with high weight. I will slowly introduce the fourth set to all excercises one by one. Thus, I am kind of using the principles stated at this article, including programmimg and giving time to improve performance. i would appreciate your input on these ideas. 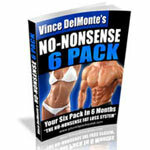 By the way, i am an old customer of your, including the NNMD and the six-pack abs pakcage. All have been very useful. How does this apply to women? I am assuming that a female’s metabolism is different than a male’s. I have not seen a woman bulk up as quickly as I have a man even with the same set of circumstances such as amount of time spent working out, eating habits, etc. Take a look at my wife’s website Deb. http://www.FlaviliciousFitness.com She uploads lots of intense workout videos for females. For most women, the same secrets would apply.